A well tended lavish garden is a dream that most people nurture. But not everyone has the luxury of vast, open spaces around their homes. However, this in no ways means that you cannot indulge in the joy of gardening. 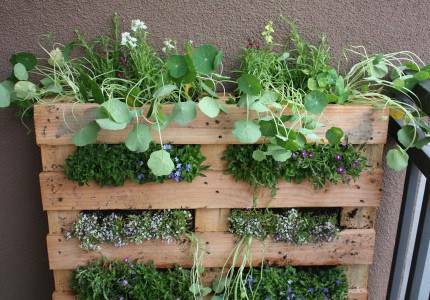 In fact, you can still bring in nature to your homes by designing your own pallet planters. 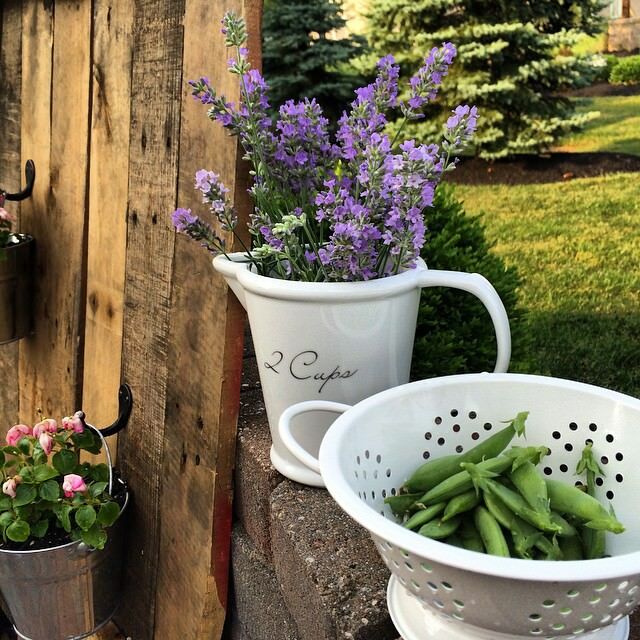 These are perfect for all types of gardens and are definite space savers. 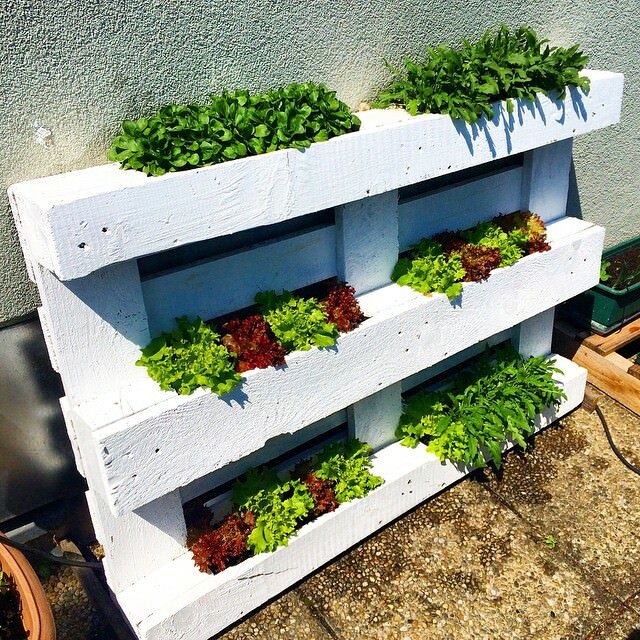 In fact, using these you can make a garden even in the balcony of your apartment or the terrace of your house. 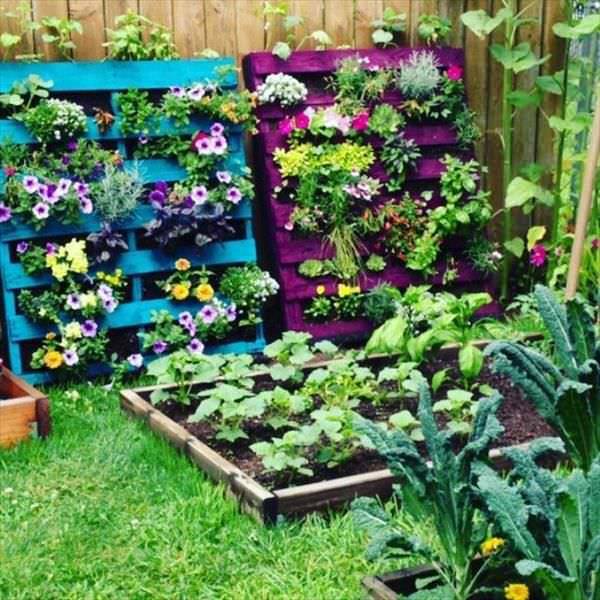 So, if you are enamored with this idea, here are some DIY pallet planter designs that will help you to come up with your own creative ideas. 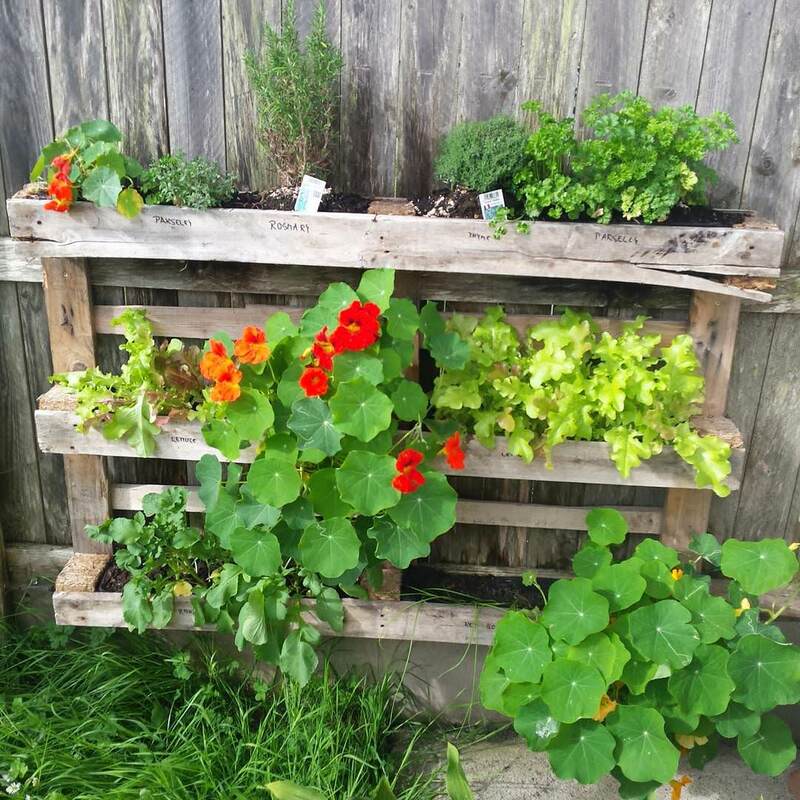 Thinking of giving your eyes a treat of greenery every morning? Get an old rectangular tub made of plastic and scrub it clean. Place your pots with green plants in this tub and don’t forget to make a hole on the side for excess water to flow out. 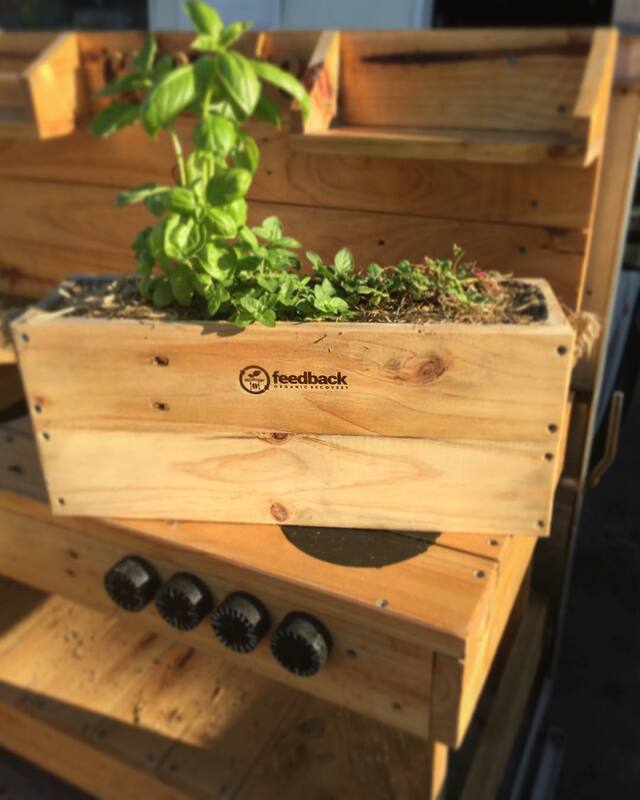 Your green pallet planter is ready. 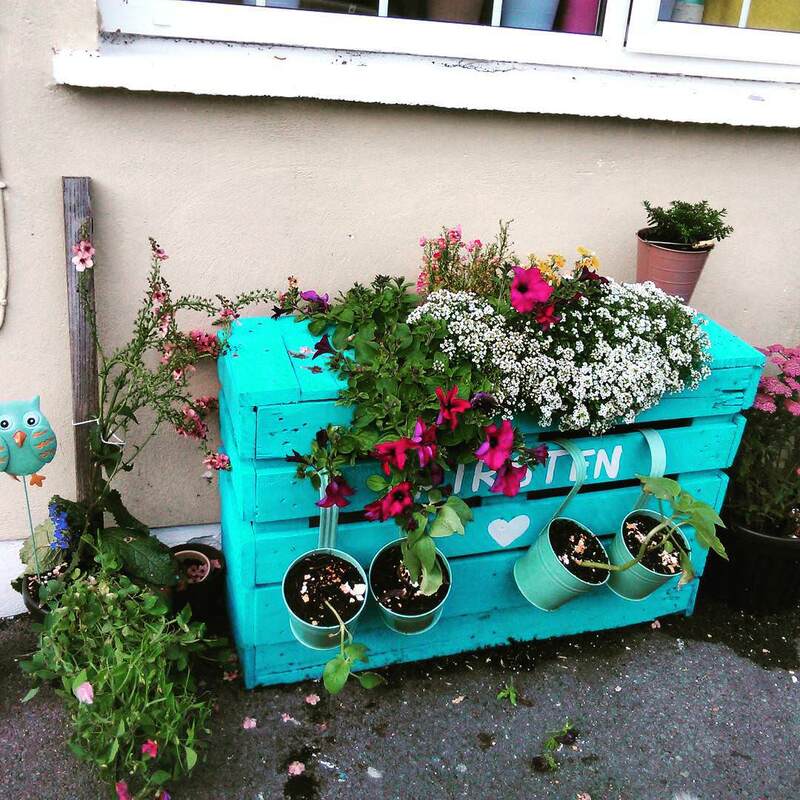 If you have an old wooden box with slats, you can actually use this as a planter. First things first, paint this box a bright blue color. Cut out a portion of the lid and put in some soil into it. Add seeds of colorful flowers to this and wait for them to bloom. 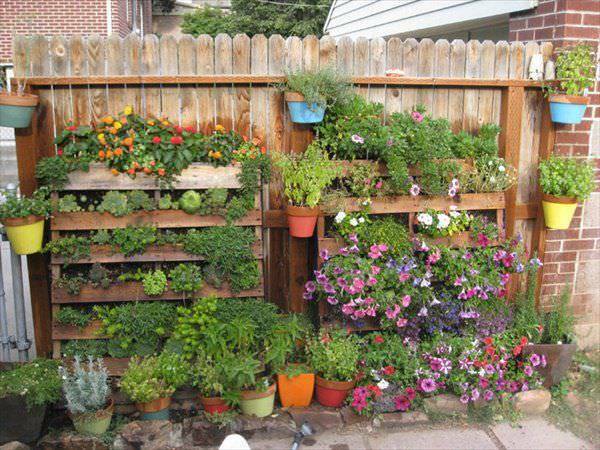 You can even hang metallic pots on the slats and put in more flowering plants. 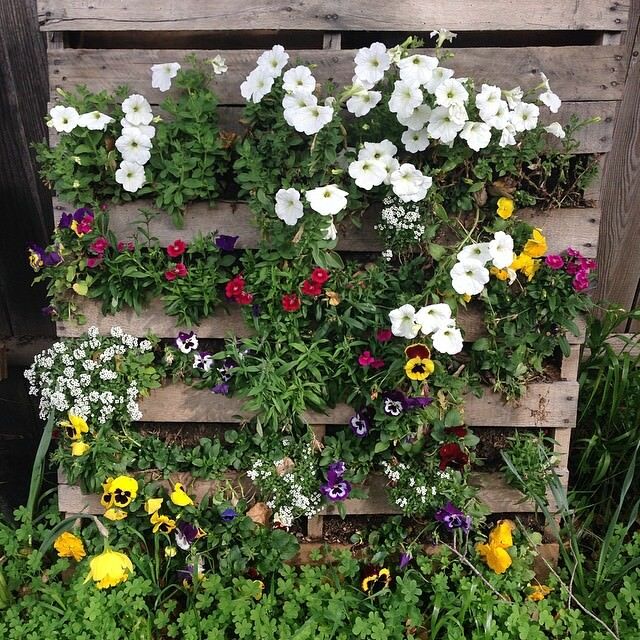 Place this in your backyard to enjoy your personal flower garden. 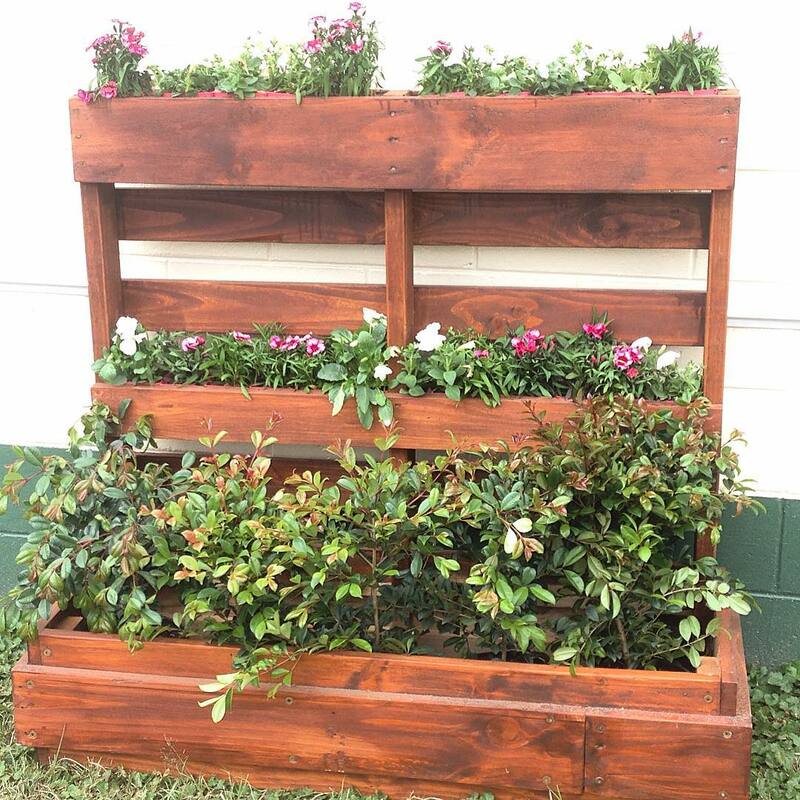 In case, you just can’t seem to have enough of rose plants in your garden, have a few more by planting them in a pallet planter. 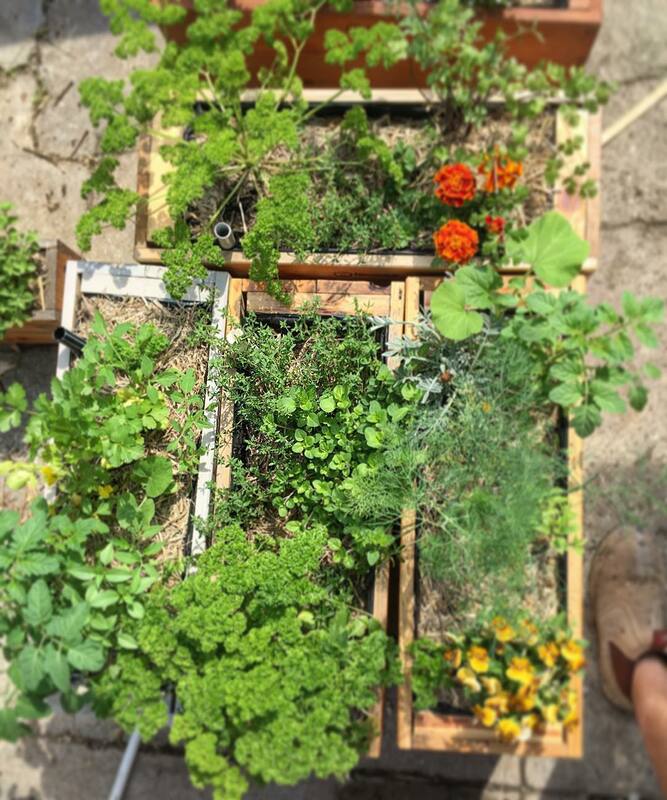 Get a small wooden box and fill it with soil. 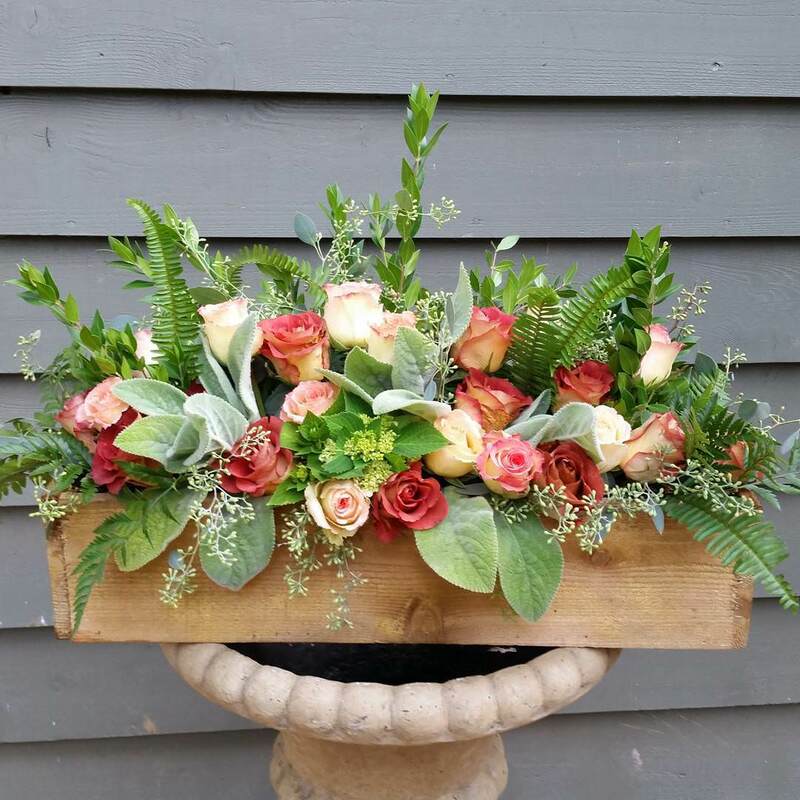 Plant roses in different colors in this box adding in some greens too, to give it a perfect look. Place this planter on an ornate pillar or a raised wall. 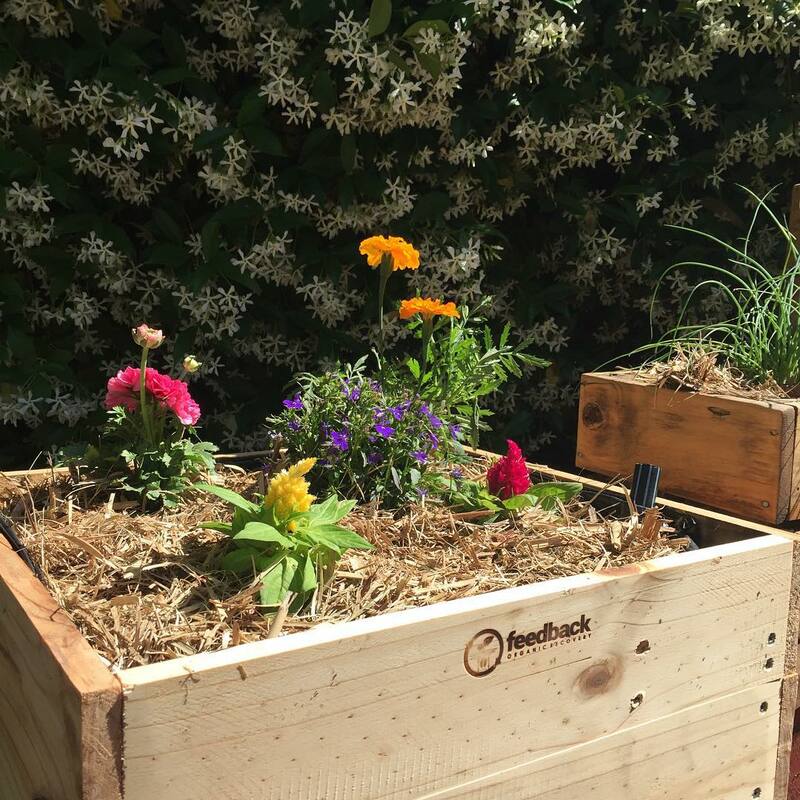 Design a pallet planter by using some old wooden boxes and nailing them together to an old wooden frame. This will give it a rustic look. 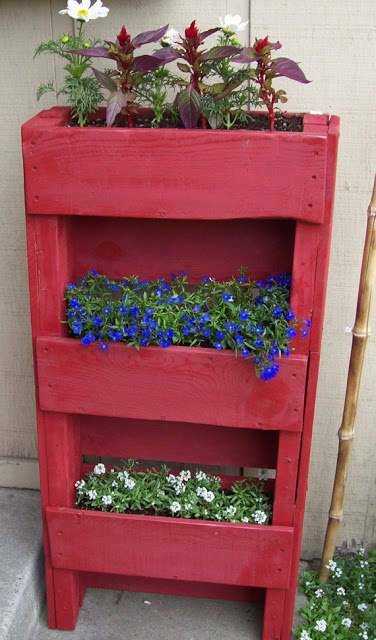 Plant your favorite plants and flowers in these boxes and place this pallet in your yard. The greens and the blooms will be a treat to look at. 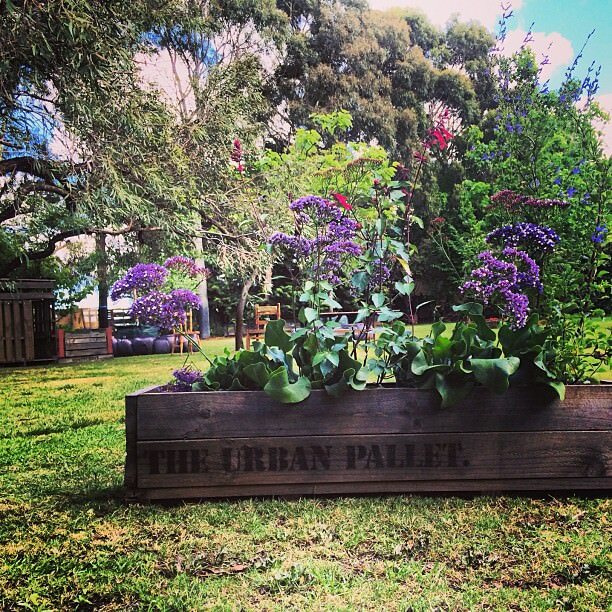 A standing pallet planter can help you to create an amazing looking garden in your backyard. Get two wooden planks and a few wooden boxes. Place the two plants in such a way that they face each other. Now nail the boxes onto these such that they are parallel to each other. Make sure to leave some place between the boxes. 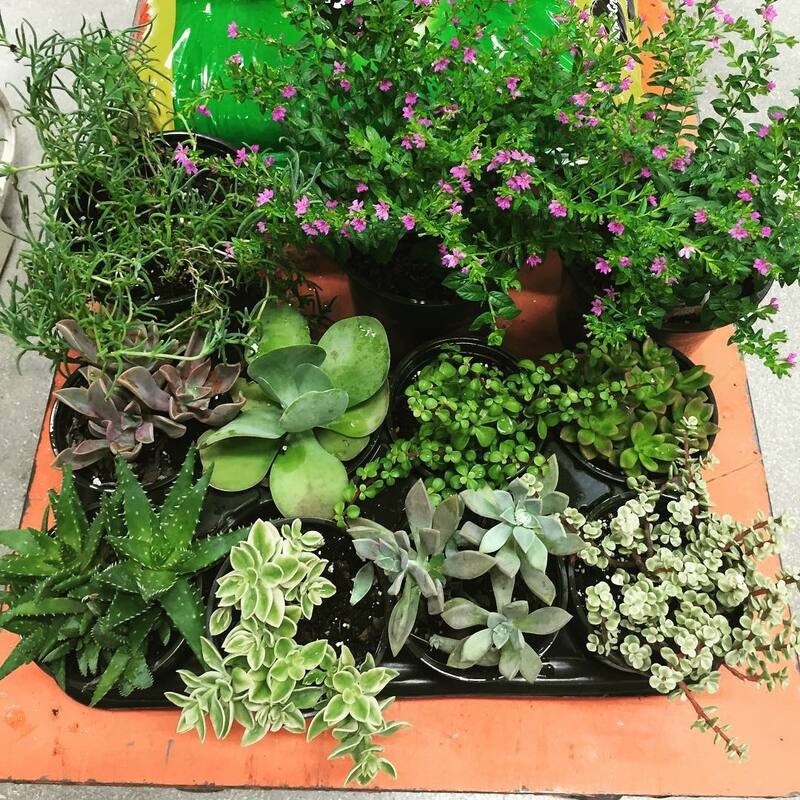 Add in some soil and then plant the flowers or plants of your choice in these. Place this within a flower bed or the bare soil to hold it upright. In case, you want a really elegant looking planter, get one made using polished wood. 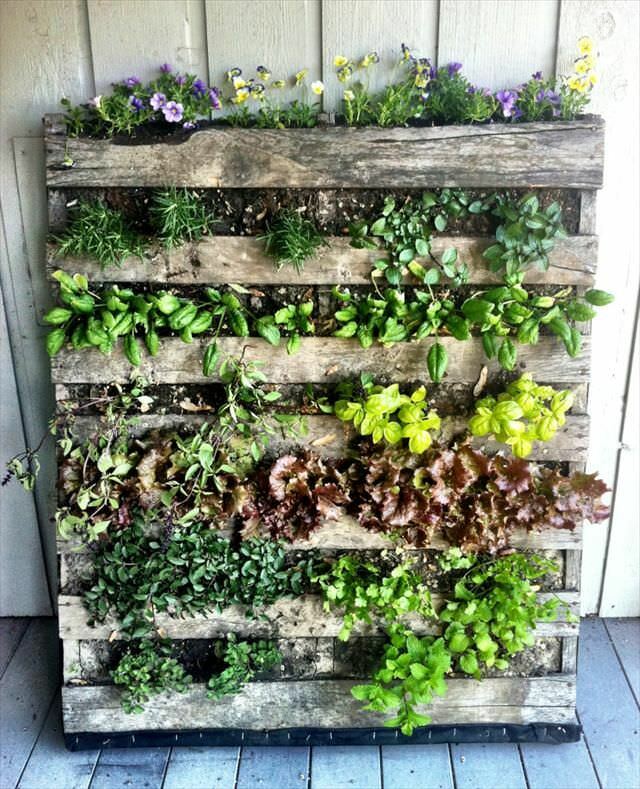 Design this with some wooden boxes that are nailed onto a slatted surface. Add in an additional flower bed in a wood on the bottom which would look elegant and also support the rest of the fixture. 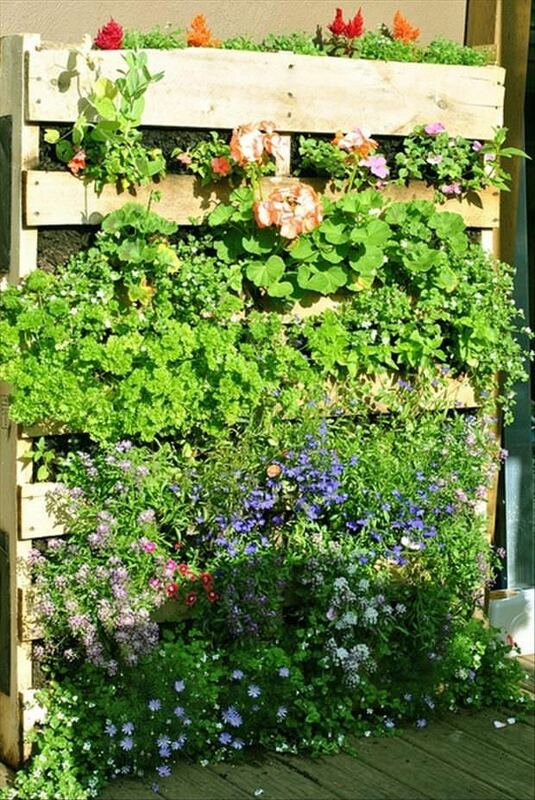 If you do not have enough space in your backyard or front porch, you can still have some greenery around. 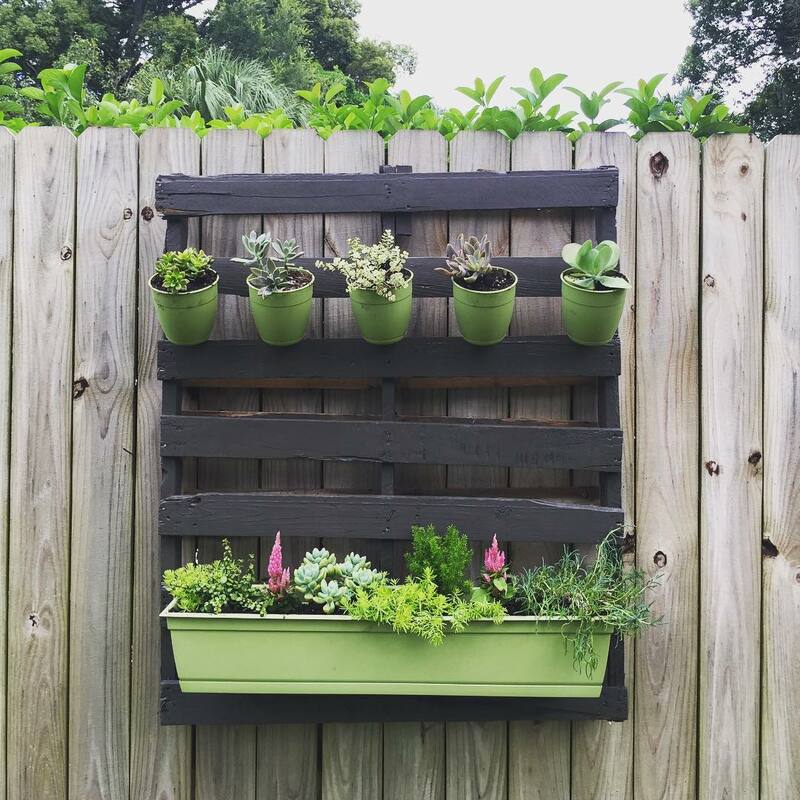 Just use a wall hanging pallet planter for this. 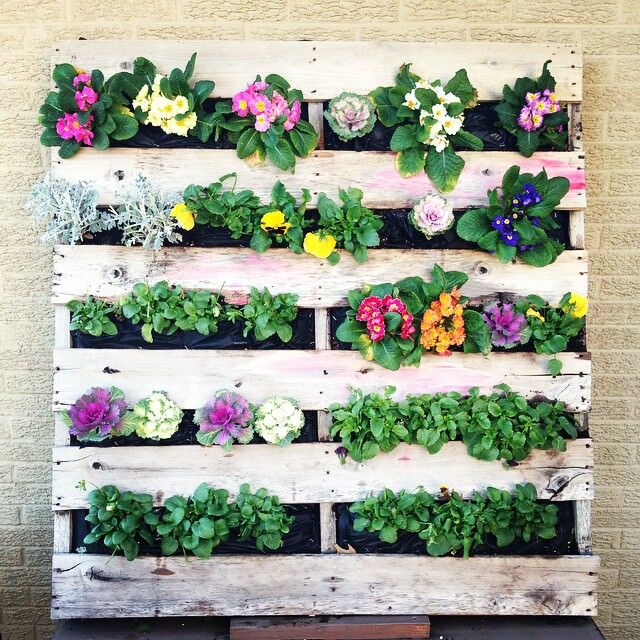 Go for a slatted wooden fixture and hang flower pots to these. 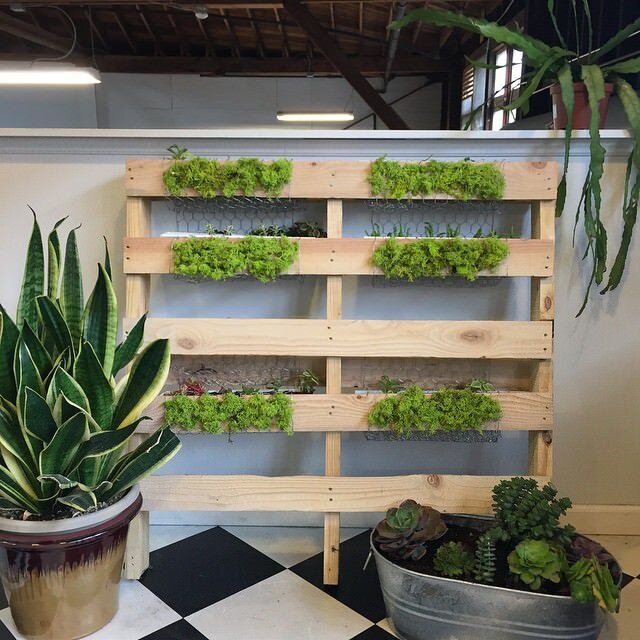 You can even insert small planting boxes between the slats. 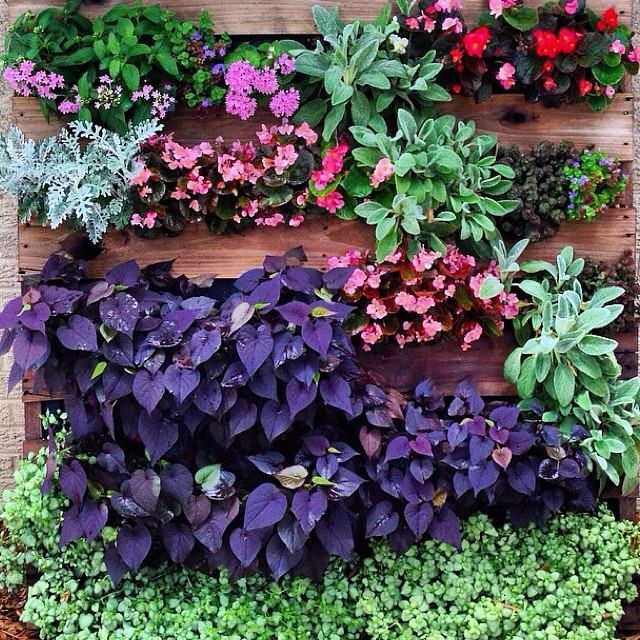 Color pallet’s slat of your choice and hang different pots of flowers. 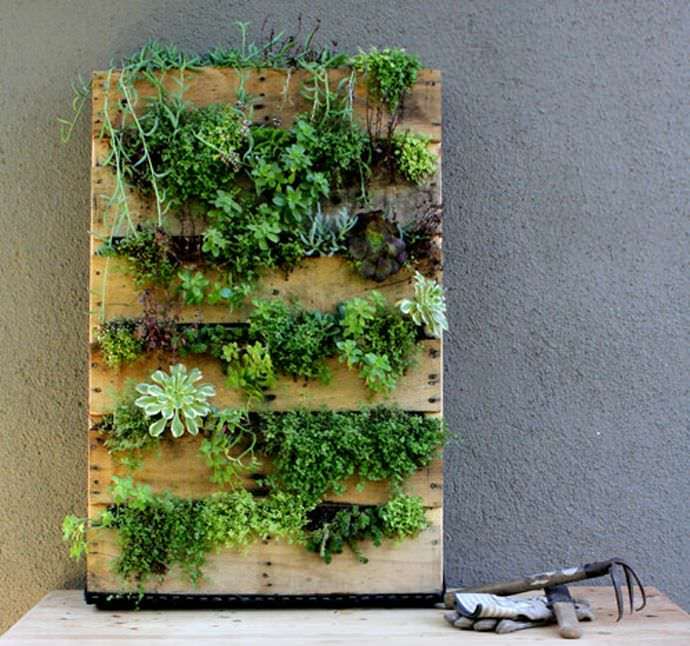 If there are empty bottles in your kitchen, fill them with soil and hang on the pallet to grow herbs. 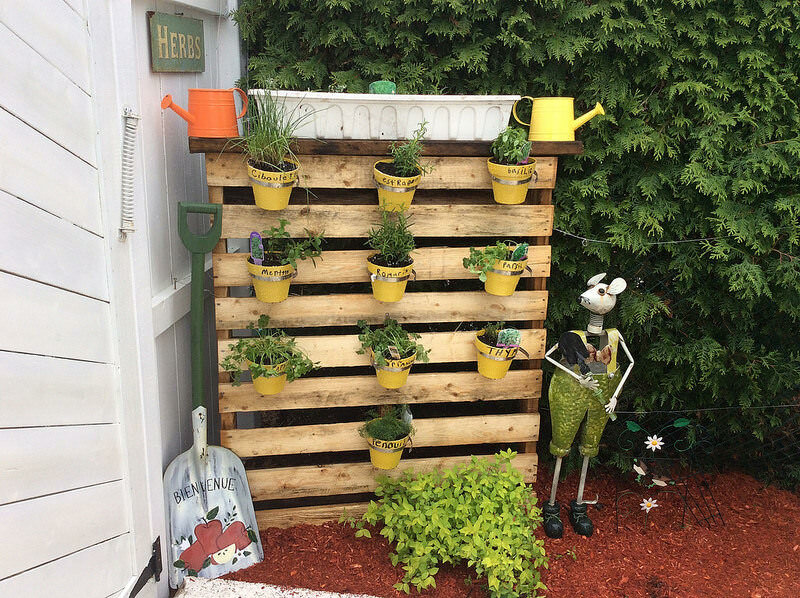 A wooden pallet can become versatile by taking out the top slots and covering the back area with wood and plastic sheeting. Make soil pockets to grow micro green plants. 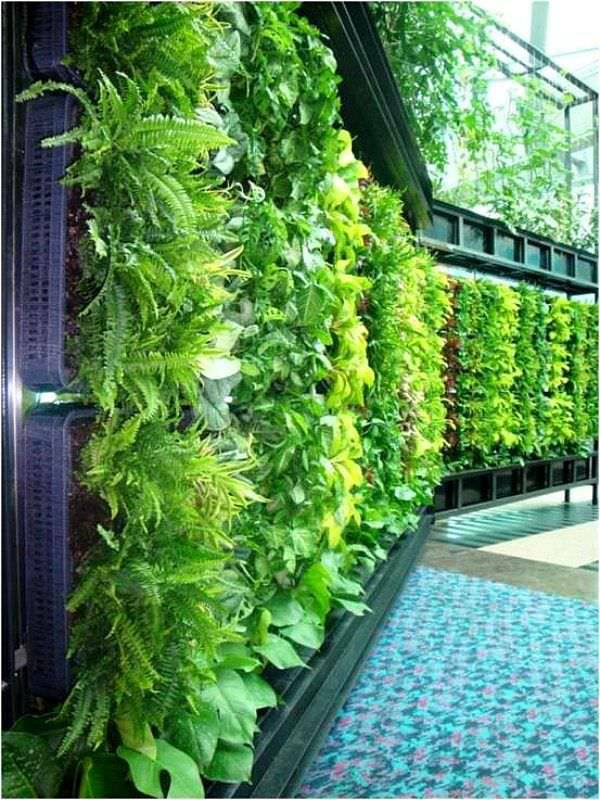 Vertical gardening ideas are not new but latest trends add novelty and magnificence. 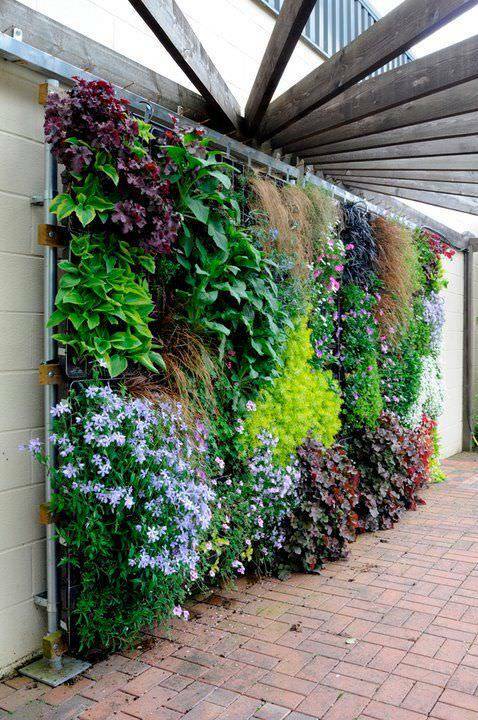 Think about layer greenery to give a garden-like appearance. You can re-arrange free standing designs to fit with the surroundings. 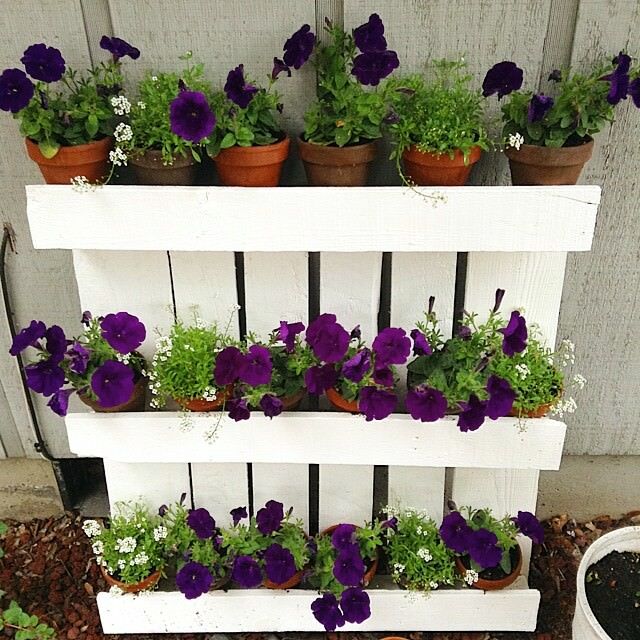 Pallet planters are definitely a great way to bring in nature to your home. Since most of these are made of wood, you can either polish or paint these to give them a refined look. However, if you are in for some rustic charm, you can use these just the way they are. 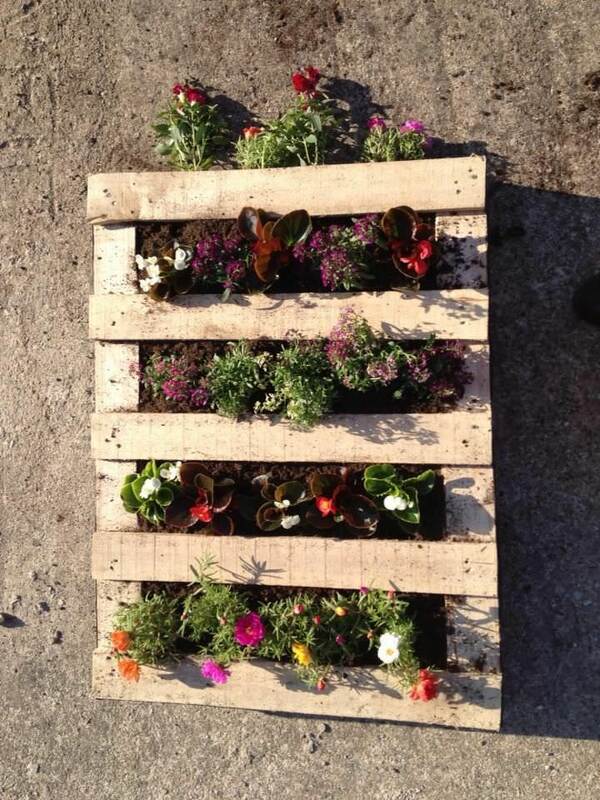 In case, you know of any other DIY pallet planter designs, don’t forget to share these with us.